Here is another screenshot. 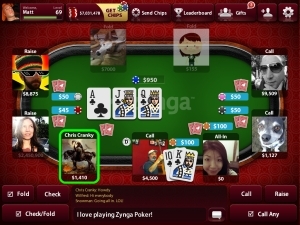 Zynga has plenty of players and active tables at various stakes. No cash games but they have tokens that offer some value to gamble with while avoiding gov thugs confiscating and freezing accounts. A real nuisance they are.. . 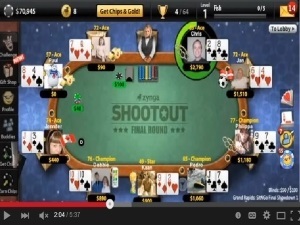 Here is a quick sample Zynga poker game on YouTube. Mostly kids playing for fun. No real money games but can play for tokens. Excellent graphics. Maybe someday they will offer real money. Good place to practice playing online but the games are rather boring to be honest, players raising up to millions and billions. 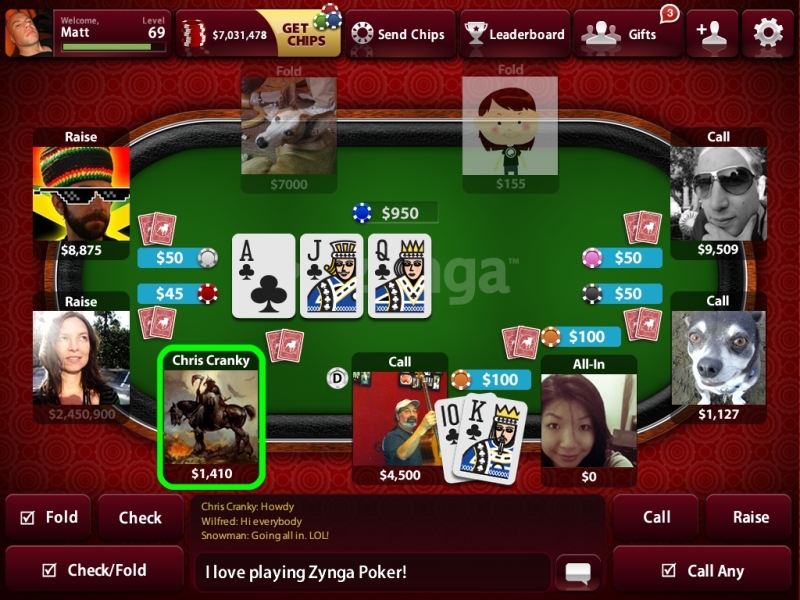 REAL money is REAL poker. 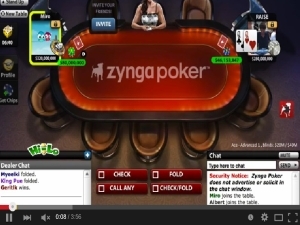 Enough video, let's play already..
Another video of Zynga poker. 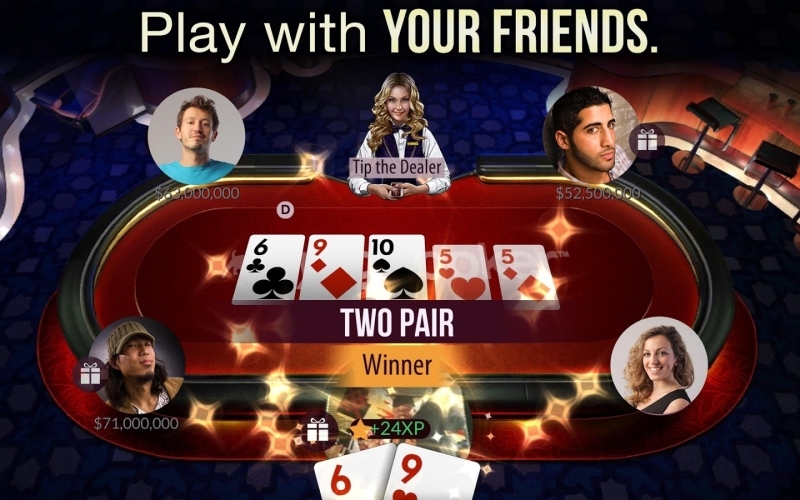 Even though they don't offer explicit gambling, they do have a somewhat unofficial market for their tokens which can be purchased and sold so in a sense one could be playing for real money. .